Now on quadruple vinyl! 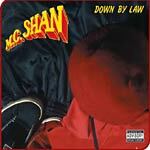 MC Shan's classic debut gets the deluxe treatment, carrying a lot of weight! Alternate mixes, remixes, instrumentals, all in addition to the original 9 track album, remastered and wonderfully packaged courtesy of Traffic Entertainment Group!